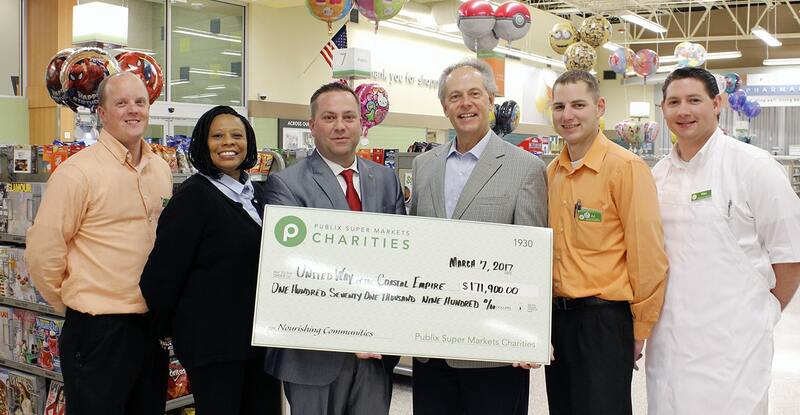 Savannah, GA (March 10, 2017) – Publix Super Markets Charities presented United Way of the Coastal Empire with a check for $171,900. These funds represented a 75 percent corporate match of Publix associates’ contributions. For the 2016 United Way campaign, Publix associates and Publix Charities gave a total of $401,353. As United Way of the Coastal Empire’s second largest contributor, Publix Super Markets and its associates raise the bar every year. Local Publix associates contribute to United Way, largely through payroll deductions. United Way’s CEO and President, Gregg Schroeder, accepted the check at Publix Super Markets, Pooler Marketplace. United Way is grateful for their contributions and looks forward to a long-term partnership with the company. “It is a pleasure to recognize Publix’ support and commitment to United Way. Their spirit of giving shows how much they care about our community,” said Schroeder. 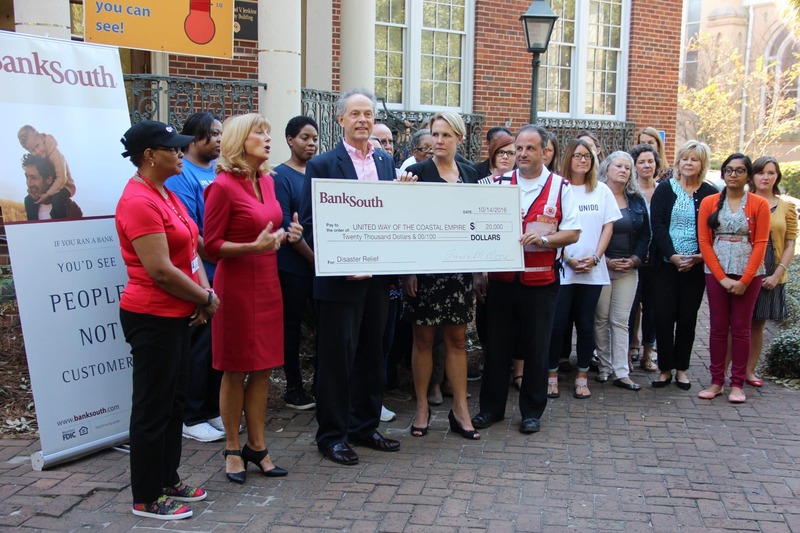 During the check presentation, Publix associates also expressed their continued support of United Way through volunteering in community service projects.